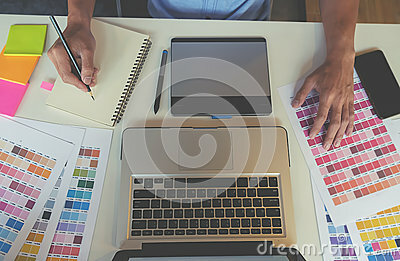 Stock image of graphic design and color swatches and pens on a desk. stock image of Graphic design and color swatches and pens on a desk. Architectural drawing with work tools and accessories.